Car accidents are a stressful experience, and most people have little idea what to do after one besides pull over to the side of the road and exchange information. But a serious car accident can have repercussions that affect you the rest of your life if you’re not careful. That’s where knowing what to do in the aftermath can make a world of difference. 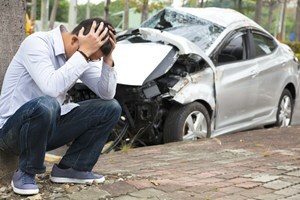 Here are three ways you can make sure your car accident doesn’t have lifelong consequences. Even a seemingly minor car accident can cause severe injuries, and one of the dangers is that not all car accident injuries are easy to detect. If you get a head or spinal cord injury, you may not spot any symptoms right away, and failure to receive treatment could make the recovery process difficult to impossible. When you’ve been in a car accident, either go to the emergency room right after or schedule an appointment with your doctor to get checked out. It’s frustrating when you’ve suffered an injury in a car accident. You may be eager to resume your normal activities, but if you do too much, too soon, you could end up exacerbating the problem. Ease yourself back into your normal routine, and make sure you follow the recovery plan your doctor recommends for you. It’s better to be patient and go through the recovery process once than to jump ahead and not recover properly. There are many ways you can inadvertently harm your own insurance claim after a car accident, such as providing a recorded statement to the other driver’s insurance company. That isn’t required and can only work against you, but if you don’t know that, you could end up helping the other side. If there are any damages or injuries involved in your car accident, the best thing you can do is consult with a car accident lawyer like Alexander Law Group. They can advise you on what to do and help you with your claim if the other driver’s insurance is trying to stall or won’t accept responsibility. What’s most important after a car accident is that you take care of your health and that you get any compensation you deserve. Your doctor can help with the former, and a car accident lawyer can help with the latter. Should You Consider Comprehensive or Third-Party Insurance? AutoVista Nexa Outlet in Thane Majiwada !